Hello! Long time no writey Glad to see a thread on the new series has been allowed to continue in my absence. Have to say, this most recent series has proper rekindled my love for Who. The gap year plus a not very good second year for PCap, plus a bereavement, plus the (IMO) awful news of Chibnall taking over as Exec Prod had pretty much killed my love for the show (as a continuing story on the TV - still continued my chronological rewatch of the classic series, now complete, plus a heavy smattering of Big Finish releases). But I'm properly feeling at a loose end on Saturday nights with no new Who to watch now. Capaldi finally allowed to be the brilliant Doctor I knew he would be (how ironic and awful that it's over at Christmas), a companion who was a proper, likeable, companion rather than someone mooning over the Doctor or generic sassy girl. Even Matt Lucas was terrific. Not that I dislike Matt, I just wasn't sure he was a good fit for the show but he downplayed Nardole perfectly. And, most importantly some great scripts in there. Nothing like that overrated turdfest that was the Zygon 2 parter in series 35. And what a surprise John Simm was! I don't mean the surprise of him turning up - they ruined that revelation horribly and how brilliant it would have been not to know when he whipped that mask off Anthony Ainley stylee - but in his performance. The big miss for me during the RTD era was how badly wrong he got The Master. I felt playing him as a deranged lunatic was a terrible decision. He's so much better as a suave manipulator. And Moffatt's line in the final episode after Capaldi gives his big speech pleading with the Master to help him - "This is the face of a man who hasn't listened to word you just said". PERFECT. Sad to say I face the very real prospect of not watching any new Who after Christmas. I just don't like Chibnall. His previous Who attempts have ranged from okay to awful. Broadchurch is horribly overrated. Series 1 was powerfully average, series 2 I gave up after 2 episodes. Court scenes that make no sense in reality (has he ever even spoken to anyone who's even set foot inside a courtroom? ), a cliffhanger that was unintentionally hilarious rather than dramatic, and the feeling they were spinning out something that was supposed to be a done in one effort just because the ratings had been good on S1. Even before they went down the route of turning The Doctor female (and if that is the route they've chosen, Whittaker is a good choice and better than the uninspiring ones like Olivia Colman (big Peep Show fan, but too obvious. Sure she'd have been good though) or Miranda Hart (ugh! )), I'd pretty much decided I'd leave with Capaldi and maybe check out a few of the non-Chibnall written episodes. But right now I'm not sure which writers would lure me back. Moffatt's off (sorry, I'm not one of his haters. He's had a few mis-steps and poorly judged episodes but when he's on form he's very good indeed), RTD is unlikely to return, Gareth Roberts seems to have bowed out after problems working with Moffatt on series 35. Robert Shearman hasn't contributed since the series returned in 2005. There isn't anyone else who's a guaranteed banker (I like Gatiss, but so much of his stuff just seems poorly executed. I can't work out why - his scripts just feel unsatisfying somehow). Maybe Toby Whithouse? But hey, if Whittaker and Chibs make new fans of the show then that's a good thing. Been watching since 1981 so had a good run. Time for the show to evolve without me now I'm the wrong side of 40 perhaps. So, Series 10 is done and dusted. Heck of a run, I thought. Particular highlights for me were Oxygen, The Eaters Of Light and the finale. I also thought the dynamic of the companions - Nardole the offworld oddbod, Bill the contemporary everywoman - was very appealing. Like the 12th Doctor, I'm sad to see them go. But that's the way it is, and their all too brief a season remains on the shelf, like other past glories, to rewatch and enjoy again. I was especially pleased to see Missy get attention in interesting new ways, that further explored and distinguished her run from those who've come before. Whatever the future holds for the Master, I hope that it'll be a good long while before we see the character revisited. Hopefully it'll remain an every-other regeneration thing, as has been the approach since the show returned in 2005. John Simm, like Michelle Gomez, both turned in stellar work this year, and both got the opportunity to do something new and memorable. Whereas in the RTD run Simm had a little more of the friendliness of old, his return heralded a vicious and twisted remix of his past work. Gomez on the other hand, she got to play in a more intriguing range, that of a Master who'd begun to genuinely yearn for the kinship of her arch friend. 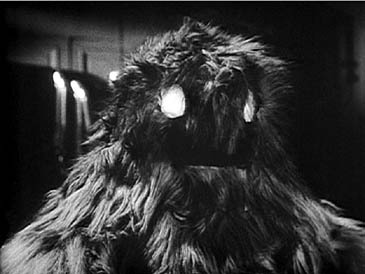 And what a terrific inversion of the setup of Day Of The Doctor - the time displaced and bearded past Master horrified at what he's about to become, sufficient to commit suicide! Missy, killed on the cusp of achieving what she's strived for her whole regeneration, through the age old flaw of overconfidence! What a time to forget who you once were, with a laser screwdriver pointed at your back! This year's Christmas special seems extraordinary. The 12th leaves as he entered, in a multi-Doctor adventure. Knowing Moffat's penchant for tidying up after himself, I'd not be at all surprised if Capaldi's last act is his first, seen in the 50th Special. Of course, knowing Moffat, what we think we know and what actually occurred is frequently at odds! As the last of Moffat's Time Codgers - including David Bradley, John Hurt and The Great Curator - this select group have made some of us with just a few more grey hairs than when we started watching, immensely pleased. Being visibly older is no impediment to being the Doctor, it never was. Why is the 12th Doctor meeting up with his earlier self at Christmas? Perhaps it's not just the Time Lord who's at death's door. The TARDIS was clapped out when he swiped it, and decor refurbs aside, it's surely well past its expected useful life. The Time Lords granted the Doctor a new life cycle in the closing moments of the 2013 Christmas Special, but the TARDIS had no such luck. The symbiotic link between them might require the Doctor to donate his regenerative energy in order to both repair and save it, lest the harm it could do to the time lines were its breaking (a la The Big Bang) to go unchecked. True, it could be something more like a traditional villainous plot to knock the Doctor off simultaneously from both ends of his timeline. This is familiar ground, as seen in Series 7. But the TARDIS probably knew what it was doing, in its subtle quiet way, bringing him face to face with his younger, older looking self - and her's too! Of course, being much younger, it doesn't necessarily follow that Bradley's Doctor will be the support Capaldi's might need in his final hours. I'd expect a little friction! Even so, unless we're getting a First Doctor before the flight from Coal Hill, I don't think he'll pull a Simm and trigger the regeneration with a rock to the noggin! If Tomb Of The Cybermen is any guide, I'd also guess at some point one of the Doctors will open the 500 Year Diary and jot down an illustrated note about Cybermats! DOCTOR: Things end. That's all. Everything ends, and it's always sad. But everything begins again too, and that's always happy. Be happy. Nice to see the proper Tardis inside again on the teaser. Perhaps this is the moment to rewind to the beginning of the Capaldi era and enjoy this one last time. Still makes me laugh. Better not let Delgado's Master hear you say that! MASTER: Oh, hopeless! Overweight, under-powered old museum piece! MASTER: Ah, no proper stabiliser. Oh well, let's try again. MASTER: You may as well try to fly a second hand gas stove! That's especially hilarious given the Simm version bingled his own, sufficient to be marooned on a spaceship falling into a black hole! I guess the higher degree in Cosmic Science didn't cover TARDIS driving! Looks like a cracker of a Christmas this year. 3 Doctors, 1 special! Any takers on Jodie's opening words? My guess: "Thanks lads, I'll take it from here!" And so ends the 12th Doctor's run, and Moffat along with him. What did we think? I wondered if it'd be an exit like Matt's, made of a tapestry of threads from the era. Instead, we got something less busy, more accessible, and a little more poignant. Finally too, a multi-Doctor story where it’s not a big bad thing that brings them together - it’s small scale, as much about the choices to trust in the future and honour the sacrifices and victories of those who came before. Even if that's yourself, who in a forgotten moment of weakness, could temporarily jeopardise everything! One hopes this approach to team ups in future will be given as much consideration as the standard model we'd seen up to now. The real world historical Christmas reference was a complete surprise to me. I knew of the event, of course, but thought it was skilfully woven amidst the canonica. The moment I heard the reference to Cromer, surely we all guessed that's where we were headed. But it wasn't over-egged, and I think the present Moffat made of the part to Gatiss is pretty small compared to the gift he gave us all for An Adventure In Space And Time, leading to the very welcome return engagement of David Bradley as the latest and surely best rendition of the First Doctor since the original. I look forward to his Big Finish work with interest, and hope he's got an ongoing gig there! Like Logopolis, we had a Watcher - though this time it wasn't a glimpse of the Doctor's future, just a nerdy fan. Given the similarities with the 3W bunch in Series 8, you'd have to think it would be a hard sell to get any support for such an idea, really. (Has UNIT been mothballed?) That ought to make anyone nervous about where the money is coming from to pay for Testimony, and why. I think Capaldi's Doctor was too quick to write it off as harmless. Why make efforts like the Daleks did in Evil to isolate the human factor et al, when they'll stream it to you gratis? Moreover, the somewhat unsavoury aspects of social media seem like soft pillows to the misuse to which information of this sort could be put. Maybe it’s not so nice to make everyone’s lives open books after they die. Consider the final exchange between Rita and the Eleventh Doctor in The God Complex, for instance. With the world's knowledge in our pockets nowadays, we still routinely see people tell obvious falsehoods and wreck havoc with the aid of the ignorant, without consequences. Why should we expect that will be different in the future? Especially in a universe teeming with species who don't all have Earth's best interests in mind? Indeed, the Eleventh Doctor encountered the crew of the Teselecta in Series 6, and he was unsurprisingly unimpressed with their motivations and actions. So how did Testimony get a pass? Well, I guess it was Christmas, and 12 was just thinking the best - but he had been dying for a while, before he ran into himself in Antarctica and Rusty in the far future! Bound to be a little off form! And for a sad tale, the passing of a Doctor (or two) it was full of very funny stuff. The TARDIS liquor cabinet gag was set up back in the Christmas special before last, a nice bit of misdirection. Nope, wasn't River who'd been at the brandy! Speaking of River, her absence was probably down to the Doctor password protecting her data ghost as much for her safety and privacy as his. Whatever mechanism he'd concocted to save her to her sonic, to decant in the Library later, it must be encoded in some manner of uncrackable Gallifreyan DRM. I'd hoped we'd get to see a Day Of The Doctor cameo, with the First and Twelfth lending their efforts for a few seconds. But I guess there's a few things to leave hanging for the Target novel we'll see later this year. My fingers are crossed for a shiny gold remix of the Skilleter original on the cover! I'm also hoping we see a special edition of Tenth Planet later this year, as we saw with Shada recently. It looks like quite a bit got shot but unused. I'd happily pay a few quid to see them finish the work, and add a little more as needed. Perhaps it's just not feasible for boring reasons. But it's a wry irony that all these decades later we're now tantalised with remade but currently unavailable footage of that elusive 60s episode. Recently, I gave the first batch of the War Master audios a listen, and was surprised at how enjoyable they were. First, because the Master isn't written as a plonker - he's a chillingly successful and thoroughly charming villain, without anyone of the Doctor's calibre to stop him. Second, because of the downright electrifying theme, it's a thing of beauty and a joy forever. It's also got a lovely blend of twisted humour and throws to old stories, for those of us keeping score. Those of us who wished we'd got just a bit more of Jacobi's turn as the Master on TV will be well pleased, I think. I'm hopeful the same care will be lavished on the new audio adventures of the Doctor's oldest friend, after her upgrade! Knowing there's another three seasons of Jacobi's War Master ahead, and Michelle Gomez returning to reprise her role as Missy for what one hopes is an ongoing gig for BF, it's like an evil Gallifreyan Christmas come early!